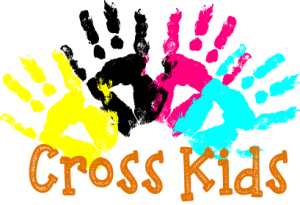 The Cross Kids offers classes during both morning services for children in preschool through 5th grade. The classes during the first service, which starts at 9:15, follow a children’s church format, with interactive, scripture-based lessons and games. The classes during the second service, which starts at 10:30, is more of a traditional Sunday School format, with scripture-based lessons and activities. The Cross Kids also offers a children’s ministry outreach each Wednesday at 7 pm for children in preschool through 5th grade. The students participate in a scripture-based lesson each week, then create a craft, play a game, and eat a snack that all relate back to that evening’s lesson. We are welcoming and inclusive of all children. We teach children of God’s love and forgiveness. We use relevant, scripture-based lessons to empower children to live Christ-like lives. We have fun while praising God!